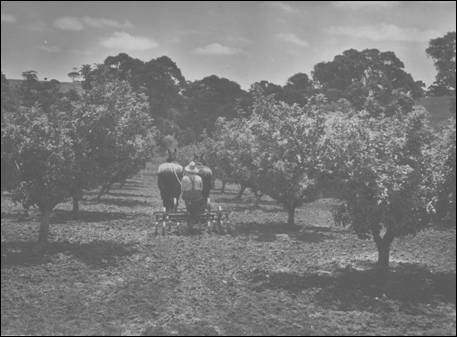 From 1908 to the mid 1960’s, Blackwood Experimental Orchard was the main research facility servicing orchardists in SA’s cool temperate production districts. Covering 21.3 ha, it was located on Main Rd, Coromandel Valley, 1.6 km south of Blackwood. Blackwood Experimental Orchard was a major supplier of new fruit tree varieties to the rapidly growing horticulture industries during the early 1900’s. It played a crucial role in the development and introduction of new technology for SA’s apple and pear industry through until the 1960’s. 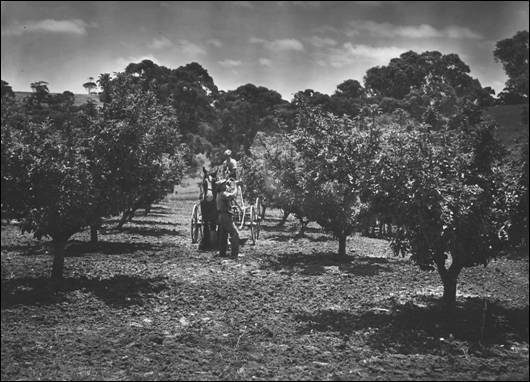 Gradual movement of the apple and pear industry into the central Adelaide Hills during the 1940’s and 1950’s meant Blackwood was not well positioned to serve these industries. It was also coming under pressure from encroaching urban areas. Land was purchased to develop Lenswood Horticulture Centre in 1964. Variety collections and equipment were gradually transferred to Lenswood and the Blackwood Experimental Orchard was closed down in the mid 1970’s. The Blackwood Forest Reserve is now located at this site. During 1902, there was considerable discussion about the need for agricultural research and experimentation across all agricultural industries. It was recognised that experiment stations were needed to support various agricultural industries, and these experimental farms needed support from trained chemists with laboratory facilities. A review of experimental facilities indentified that SA had low levels of expenditure in agricultural research when compared with other states. 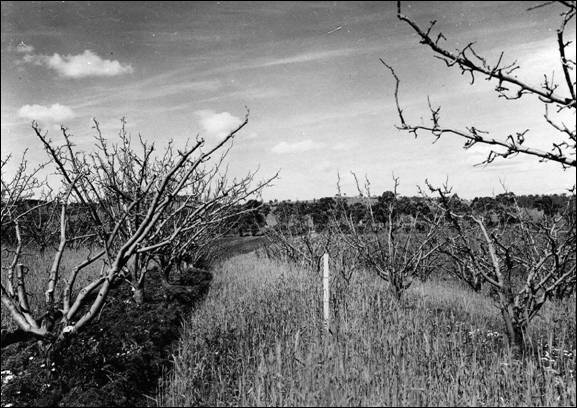 Research by the Department of Agriculture in horticulture was limited to cooperation with orchardists in districts like Lockleys and Marion. In 1905-06, the Department of Agriculture established the first experimental farms at Kybybolite (429 ha). Murray Bridge (16 ha reclaimed swamps) and Parafield (32 ha). An area of 6 ha was also set aside at Kybybolite for tree crop research. During 1905-06, Horticultural Instructor George Quinn visited state orchards in Wagga Wagga, Bathurst and Hawkesbury College, obviously with a view to establishing similar facilities in SA. demonstration orchard and nursery of 1.6 ha at Hackney Rd, Adelaide (land now occupied by Botanic Gardens). This would provide support for horticulture students training at the nearby School of Mines, and was used for early experiments on apricot gummosis in the mid 1930’s. Much of this site was subsequently acquired by the Municipal Tramways Trust in 1929 for construction of tram barns. the Blackwood Experimental Orchard and variety testing area of approximately 21.3 ha at Coromandel Valley one mile south of Blackwood. and a commercial demonstration block of 4.9 ha at Kybybolite Agriculture Research Station (planted in July 1908) in the South East. A small section of the Hackney Road Orchard, 1910. 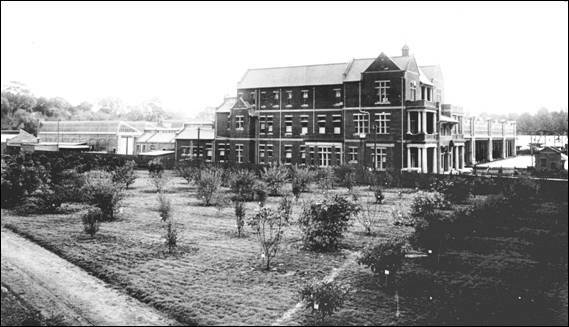 By 1920, a further property, Woodside House Orchard on Fullarton Road, Mitcham (also referred to as the Fullarton or Urrbrae Orchard, but most commonly known as the Fullarton Orchard) had also been acquired for production of almond, citrus, vines and other species that did not perform well in the cool climate of Blackwood. Located near the Urrbrae Agricultural High School buildings on Fullarton Road, this property was also purchased with the intention of it being used for educational purposes. The 40,000 vine cuttings needed for establishment of the Nuriootpa Viticulture Station were propagated on this property in 1937-38. Mylor Demonstration Orchard was also operated by the Botanic Gardens in close cooperation with Blackwood Experimental Orchard staff. The Board of Botanic Gardens was offered 61 ha of land at Mylor (by Sir John Cockburn) in April 1898 for establishment of a demonstration orchard. An area of 7.3 ha was cleared and prepared for planting by August 1899. By 1903, some 5254 trees and 2000 fruiting plants had been planted. Mr Maurice Holtze, Director of the Botanic Gardens reported in 1904 that the main focus of Mylor was on the collection and assessment of varieties. Early records indicate a wide range of plant types being assessed including banana, persimmon, loquat, rhubarb and strawberries. Many of Blackwood Experimental Orchard’s initial plantings were sourced from Mylor Demonstration Orchard. 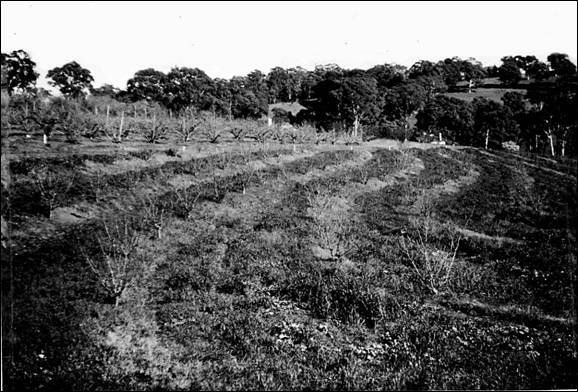 The Mylor Demonstration Orchard was subsequently closed in about 1930. The Manager of Blackwood Experimental Orchard also had responsibility for management of the Hackney and Fullarton orchards. These early managers operated with minimal technical support. The first assistant manager was not appointed until 1920. Frequently they called on the district Horticultural Inspectors to assist with major tasks such as pruning. Mr Clarry Savage was appointed as the first Manager or Orchardist at Blackwood. He developed the Blackwood Orchard until August 1917 when he was transferred to Berri to establish the Berri Experimental Orchard. In April 1918, Mr Rodney Fowler (previously the Horticulture Inspector or adviser for the South East) commenced duty as the new manager. He remained in this position until his retirement some 24 years later in November 1941. Mr Harry Kemp, the first Horticultural Research Officer was appointed in May 1941. He was a key driver of research projects at Blackwood. Side pruning trial on Golden Delicious apple at 9 years. Bob Cowley, Officer in Charge on right – April 1968. By 1909, Blackwood had 6.5 ha of orchard planted, 6.5 ha cleared ready for planting and a further 7.3 ha yet to be utilised. Initially, two wells were established on the property to supply water, one equipped with a 3.5 hp engine, pump and 5,000 gall tank. The first two horses were purchased in the autumn of 1910. By August 1908, significant plantings of trees were completed. Besides a large collection of apple and pear varieties, initial plantings comprised plums, peaches, apricots, figs, nectarines, almonds, olives, loquats and pomegranates. The original collection of planting material was raised at the Mylor Demonstration Orchard. In 1909, the collection of 124 strawberry varieties was also transferred from Mylor to Blackwood. Initial crops were being harvested by 1911-12. From this, information began to be forwarded to commercial orchardists on the best performing varieties. Fig varieties for planting at Berri were also raised at Blackwood. pruning evaluation including summer and winter tree manipulation. assessment of root stocks including Northern Spy and introduction of East Malling rootstocks from the UK. Development of Blackwood Experimental Orchard was not without difficulties and set backs. Heavy snow falls occurred on July 29, 1909. This melting snow caused significant flooding of lower parts of the property. Drought during 1911-12 forced deepening of the wells, upgrading of the pump, and significant losses to the strawberry variety collection. By 1919, Blackwood was fully planted with 16.2 ha of orchard, 3.8 ha of horse paddock and 1.2 ha of hay paddock. A further 5.7 ha of citrus and peach orchards had been planted at the Fullarton Orchard. A major overhaul and replanting of the early plantings subsequently occurred in the 1940’s. Blackwood was a major supplier of budwood of known varieties to commercial nurseryman for propagation. This activity gradually expanded, and by the mid 1930’s, Blackwood was supplying about 90,000 buds and scion sticks to commercial nurseryman annually. In 1930, Mr R.G. Hatton, Director of the Horticulture Research Station at East Malling in the UK visited Blackwood. East Malling has a long history of developing dwarfing and various pest resistant rootstocks for apples and pears. In 1932, 180 East Malling apple, cherry and plum rootstocks were obtained via the NSW Department of Agriculture, and a new nursery area was established for propagating these. Amongst these rootstocks were types that provided resistance to Woolly Aphis, a major apple pest at the time. 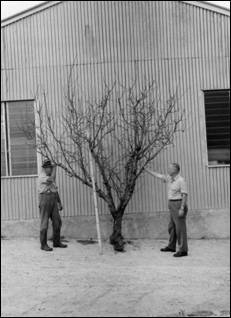 Northern Spy was one of the important rootstocks included in this program. Experimental plantings demonstrated Woolly Aphis resistance in 1935. Comprehensive information about flowering dates, maturity, yields and fruit quality were kept. The information about flowering times and fruitfulness was compiled for preparation of pollination charts, essential for design of commercial orchards. 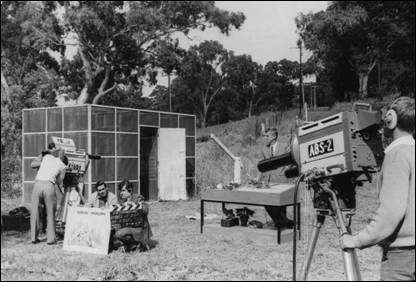 Blackwood also provided assistance to CSIRO staff in a major study of apple flower bud initiation in 1935. A wide range of pruning experiments were also conducted at Blackwood. Much of the information from these was analysed and reports prepared by Mr George Quinn (Horticulture Instructor and Chief Inspector of Fruit) prior to his retirement in 1935. George Quinn was well known nationally for his expert knowledge on fruit tree pruning. He produced an initial leaflet on pruning in about 1900. This was gradually developed into a 268 page book with 13 editions being published. The final version of “Fruit tree and grapevine pruning: a handbook for fruit and vine growers: working under the climatic and economic conditions prevailing in temperate Australia” was published by Robertson & Mullins (Melbourne) in 1947. This text was acknowledged and used nationally. In 1922, Blackwood manager Mr R. Fowler visited horticulture production districts in New Zealand. He noted the value of the woolly aphis parasite Aphelinus mali, and on return to Australia commenced the process of introducing this parasite. This occurred and Aphelinis mali was successfully established at Blackwood in 1924-25. After observing good control of woolly apple aphid, these parasites were established at 28 orchards across the state in 1927-28. District advisers then played a key role in distributing this parasite over the next few years. Codling moth was a major pest, and experiments commenced to identify effective trapping techniques in the 1927-28 season. 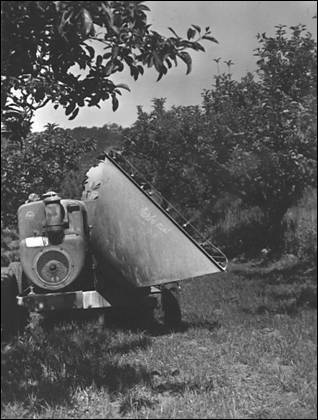 This information was subsequently developed into a warning service (1945-46) for orchardists informing them when Codling Moth flights occurred, and allowing more accurate timing of control sprays. A parasite for Apple Jassid (Anagrius amatus) was introduced in 1940.
experiments with various spray mixes to improve the effectiveness of lead arsenate against Codling moth (1929). techniques to remove spray residues (1937) and development of waxing processes to improve appearance of fruit (1942). assessment of fruit thinning sprays (1945). observations about build up of Bryobia mite after applications of DDT (1948). major study of spray compatibility and phytotoxicity of new insecticides and fungicides on 4 main apple varieties (1955-56). This led to regular publishing of spray compatibility charts. development of new fungicides for control of Apple Scab (black spot) (1956-57). initial black spot spore trapping to identify infection periods (1961), and ultimately leading to an infection warning service. evaluation of alternative chemicals to DDT (1961). In the early 1900’s, it was customary to deep plough and cultivate orchards several times through the year for weed control. Heavy winter rainfall frequently created soil erosion problems. During early development of Blackwood, a range of tillage treatments and cover crops were evaluated to improve production, soil organic matter levels and fertility, and to help reduce erosion. Nitrogen fertilizers became more readily available during the early 1930’s, and a series of trials were conducted with these to improve productivity. This included a series of pot experiments to evaluate sulphate of ammonia (1932). Major replanting of many of the orchard blocks occurred in the 1940’s. Most of these new plantings were done on the contour and with permanently grassed waterways. This greatly reduced erosion problems, and demonstrated these orchard design techniques to industry. In the 1950’s, experiments began to assess the use of permanent sod cultures to overcome erosion and soil degradation problems associated with frequent cultivation. Experimental coolstores at the Blackwood Experimental Orchard were built in the early 1950’s. The rooms were cooled by re-circulating refrigerated brine which was cooled by a mechanical refrigeration unit running on ammonia gas. It was here that the early work on controlled atmosphere storage was done using a facility built by Dr W.B. McGlasson. It consisted of individual cabinets made of galvanised steel with flexible transparent fronts. The CO2 generated by the fruit was scrubbed from the atmosphere using water through which the air was circulated. These systems used motor vehicle petrol pumps. Gas composition was titrated using wet chemical methods. New techniques to control scald on cool stored apples using diphenylamine were demonstrated in 1957. This along with controlled atmosphere technology revolutionised apple storage and was rapidly adopted. In the early 1970’s under the guidance of Mr Barry Tugwell, a state of the art cool storage research unit was built at Northfield Research Laboratories to replace the then antiquated facilities at Blackwood Experimental Orchard. It consisted of panel rooms housed within a larger structure. Different gas management regimes could be trialled, and gas composition could be measured with infra-red gas analysers. numerous visits from agricultural bureau groups each year. a host of different field days over the years, including early demonstrations of Cletrac crawler tractors in 1922.
visits from numerous world renown horticulture specialists. for many years, Roseworthy Agricultural College students studied pruning and did their practical horticulture exams at Blackwood. Horticulture Branch Staff (1959); The Blackwood Experimental Orchard, South Australian Department of Agriculture. A booklet summarising Blackwood Experimental Orchard’s role along with pest and disease control measures being used in horticulture at that time. Quinn G. (1947); Fruit tree and grapevine pruning: a handbook for fruit and vine growers: working under the climatic and economic conditions prevailing in temperate Australia; 13th edition, Robertson & Mullins (Melbourne). This text initially started as a leaflet in 1900, and was updated through 13 editions. It was prepared using information generated at Blackwood Experimental Orchard, and recognised as the main national text on pruning for many years. Prepared by Barry Philp and John Steed, February 2012.